Special thanks to artist Wednesday Mayer! My name is Jo Anne Zito and I have been a medicinal marijuana (cannabis) patient advocate with the Coalition for Medical Marijuana -- New Jersey for the past three years. I am thankful to have this opportunity to help patients and the community in this hearing. I would like to first start out by asking, what is a medicine? Medicine is a compound or preparation used for the treatment or prevention of disease, especially a drug or drug taken by mouth. A substance used in medicine, any substance, vegetable, animal, or mineral used in the composition of medicines. What is cannabis? Cannabis is a genus of flowering plants in the cannabacae family. An annual flowering herb. Like many herbs, cannabis can be used for food and not just the seeds, which are considered a superfood because of their near perfect balance of omega 3 and 6 fatty acids, vitamin E, iron, and all essential amino acids, but the leaves and buds as well. The stalks, hemp, can make an extremely durable fiber that is safe for the environment and can replace any toxic plastic. This should be noted. In places where cannabis is legal, citizens have been able to juice cannabis and according to Dr. William Courtney, juicing cannabis is one of the healthiest ways to ingest the plant and can even prevent many of the illnesses cannabis treats. Cannabis has been treating many illnesses well before it’s illegal status and since its illegal status with great success. What makes cannabis unique to other vegetables and herbs that are juiced is that cannabis contains an abundance of cannabinoids that are exclusive to the plant. This brings to mind, what makes its scheduled status more unsettling is that as humans, we have an endocannabinoid system in our bodies to receive cannabinoids, which their job is to create a homeostasis in the body. The Endocannabinoid System was discovered by scientists in 1992. This homeostasis is especially important when considering our current social ills in regards to pain management and misuse and abuse that occurs in that realm. When comparing the safety of cannabis against legal and illegal opiates, cannabis has much greater safety and efficacy. Children and parents are dying nearly everyday from opioids, yet with cannabis being the most widely used illicit drug in the world, we don’t see such situations. Thankfully, medicine is finally catching up to see that cannabis is a great adjunct medicine that helps synthetic medicines work better and lessen use of those and that is also a treatment for Opioid Use Disorder and other more dangerous addictions like, alcohol. When we compare cannabis and alcohol and the social issues that are related, alcohol has caused far greater harm in many lives than cannabis. Whether from consuming too much, driving after consuming, and just overall health, cannabis is much safer. It has been my own experience that instances of physical and sexual assault are more prevalent in situations involving alcohol. This can be situations where the perpetrator is inebriated and assaults someone physically or sexually or when the victim is inebriated to the point of unconsciousness allowing assault to occur in many situations where it otherwise would not. There are many other dangers that come from having cannabis schedule I and illegal. The social harms that can come with prohibition are many. Examples are like when someone is convicted of a cannabis crime, they are faced with life-long adversities and children of parents that are arrested are more likely to suffer from poverty and depression. Interactions with police can have deadly consequences. A majority of people that use cannabis are not gang members, but gang violence occurs over cannabis in its illegal status. Mixing non-violent drug offenders with violent offenders also can be deadly. When offenders are put on probation and rehabilitation programs which for many is unnecessary or even counter-intuitive, it can drive participants to use more dangerous drugs that leave the system quickly enough to pass a drug screen. These instances can have deadly consequences as well or fill emergency rooms. When all these instances occur, it is the public that has to pay. To add insult to injury, the federal government has a patent on cannabinoids in the use of medicine, yet they threaten to come after medicinal/legal states. These patents resulted from their own study in 1974 showing cannabis kills cancer cells. On top of that, the federal government has had a medicinal marijuana program, Compassionate Investigational New Drug (Compassionate IND) program ongoing since 1978 which they closed to new applicants in 1992 when there was an influx due to the AIDS crisis. There is one out of the 15 patients still alive today receiving cannabis from the federal government, yet they keep it schedule I. So cannabis is a food, a medicine, a fiber, an ancient religious sacrament (which I did not go into for time's sake), and a social use product, which has been shown to be safer than alcohol, not just because it has been shown, but also because it may reduce alcohol use. Legal and medicinal cannabis has shown to reduce the use of many other substances, including other more dangerous illicit drugs, tobacco, and pharmaceutical drugs. With all this said, prohibition of this very useful, versatile herb is absurd and we are in need of a grand change and I think descheduling cannabis all together can help greatly in that change. December 7, 2017 at 10:00AM - Press Conference in NJ State Capitol Building Annex, Room 9. 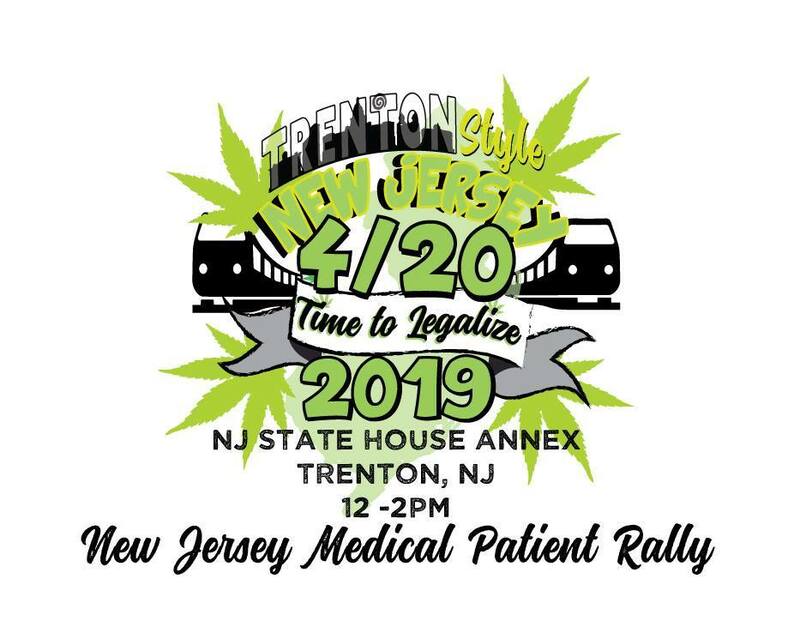 Trenton: Registered medical marijuana patients in New Jersey will gather at the State Capitol Building Annex, Room 9 on December 7th at 10:00 a.m. for a press conference calling on legislators and Governor-elect Phil Murphy to allow home cultivation of cannabis. Advocates will highlight the stories of patients serving prison time for a handful of plants and will have a model of a small home medical marijuana grow on display. Peter Rosenfeld, a board member of the Coalition of Medical Marijuana New Jersey (CMMNJ), pointed out that caregivers and patients were expecting home gardens until the provision was removed in 2009 from the Compassionate Use of Medical Marijuana Act. Almost a decade later and the promises of a robust medical marijuana program have been broken. The demonstration of a typical home cultivation setup will include 2-3 flowering plants, LED lights and 2-3 immature plants. This style of indoor garden will cost much less than what a patient currently spends on an ounce of dried flower from the state dispensaries. CMMNJ will have copies of model legislation that contains detailed improvements. CMMNJ also extends an open invitation to Governor-elect Murphy to attend our next meeting in Lawrenceville.